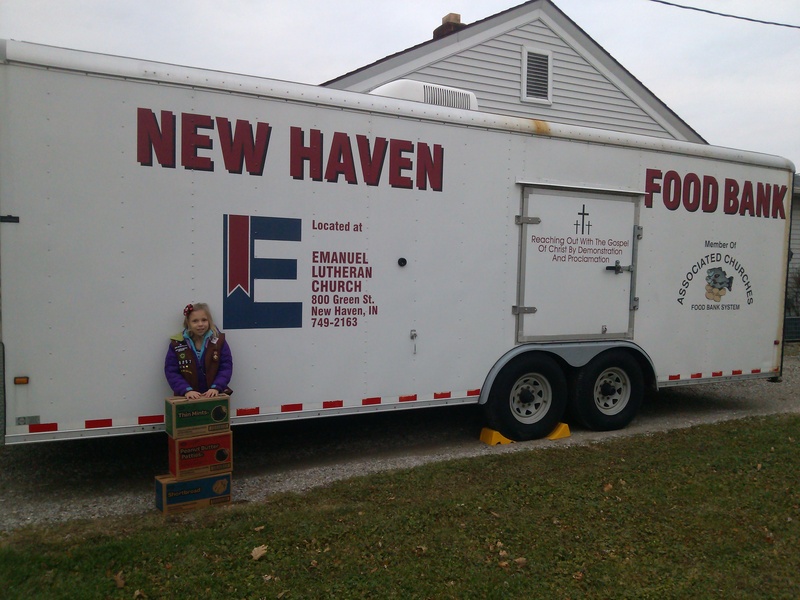 Lily donated 26 boxes of Girl Scout cookies to the New Haven Food Bank. Lily worked so hard this past cookie season. She worked the cookie booths with her troop and on her own every weekend. She exceeded her goal of 260 boxes by more than 100. We also put out a donation box for people who wanted to support Lily and the Girl Scouts, but didn’t want to buy cookies for themselves. For each box of cookies donated to a local food bank, we would match that with a non-perishable food item. 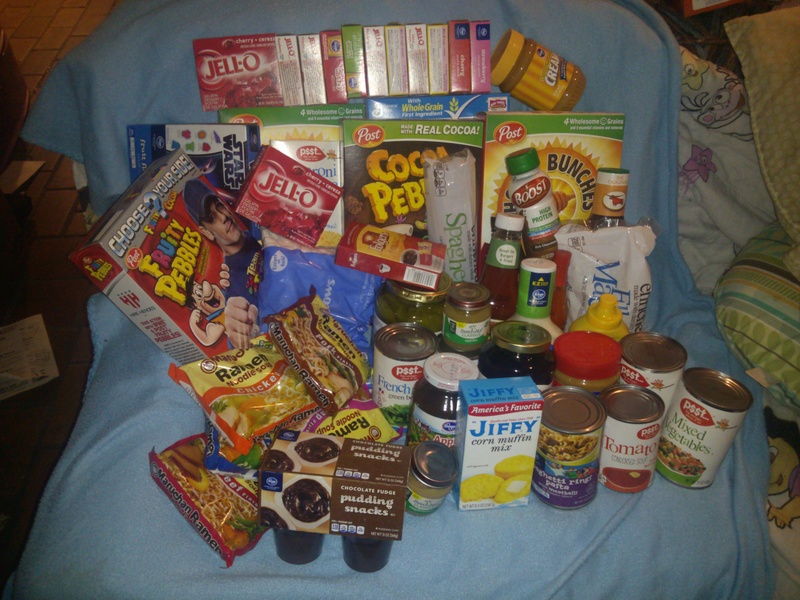 Lily picked out 49 non-perishable food items to donate to the New Haven Food Bank. At the end of cookie season, there were 26 boxes to donate to the New Haven Food Bank. Lily picked out 49 items to donate. Lots of things most 7-year-olds would want to eat; mac ‘n cheese, pickles, fruit snacks, and ranch dressing, just to name a few! The purpose of doing this was to teach Lily the importance of giving back to a community that has been so supportive of her. Family, friends, and complete strangers helped her not only reach her goal, but exceed it! According to their website, the New Haven Food Bank served 1,652 in 2011. If anyone is interested in making a food or monetary donation, you can contact the Emanuel Lutheran Church office. Lily has been asked to come back during Christmas break to see how her donations are used by the food bank and to help however she can. We’ll be taking some candy canes to pass out to spread some Christmas cheer! !